Are you heading off to a trade show soon? If so, you’re in the right place because here are five foolproof tips on how to use promotional items to attract more business. Promotional items are critical if you have a stall at a trade show. So much so that 56% of those who received a promotional item from a company felt better about the brand after having received the gift. With that in mind, let’s dive on in! Make sure anything you give away has both your company name and logo printed on it. Keep in mind that you can offer practical items as well, such as facial tissue or packs of toothpicks. Prospects go to trade shows and expect to take home freebies. So, make your giveaways visible! For example, you could get a display rack for your flyers and brochures, as well as attractive display pieces for your other giveaways. You should also invitingly display your swag, so people feel like they can come up and speak with you. 2. Remember, People Love Food! People love food, especially candy, cookies, and cakes. It’s as simple as that. If you can get these sweet treats packaged to display your company name, logo, and contact info, then that’s even better. Custom printed dinner mints, for instance, are a practical and enjoyable giveaway. There are options to appeal to a variety of individuals, from chocolate to fruit-flavored candies. Don’t forget a few sugar-free options as well. Unlike some items, these treats will likely be pulled out throughout the day, reminding people of your business multiple times before they leave the trade show. You might find them returning to ask more questions and even place an order. Furthermore, they’ll be a walking billboard and a brand ambassador by using your product. Just like food, people love a bargain. So, give the people what they want! Perhaps offer your prospects loyalty cards or an exclusive promotion to those who’ve attended the trade show. For example, 20% off their first purchase or free shipping- you get the idea! It’s about getting your foot in the door, so you can show them how amazing your services are. After that, hopefully, they will become a repeat customer. Raffles always go over well with a crowd. You should try to offer a prize that complements your company and appeals to as many people as possible. 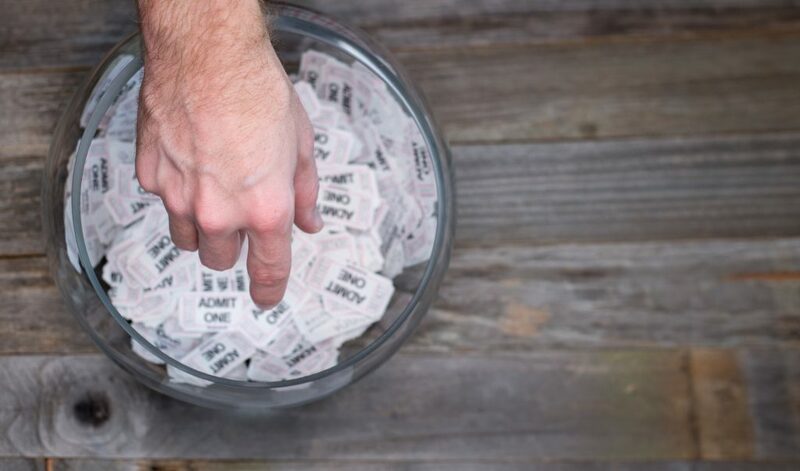 Get prospects to sign a guestbook and fill in a raffle ticket. Have them put a business card in a bowl to receive a raffle ticket and then pick a winner at random. Not only do you have an initial face to face interaction, you’re also able to follow up with them using the contact information given. This method is a great way to kick-start a working relationship with potential clients. If appropriate, have a portfolio displaying your best work. You can print out examples of projects you’ve worked on and organize them in a binder. Encourage people to flip through a curated collection of your previous work. Better yet, have a digital portfolio available that they can peruse on a tablet. If this blog post fueled you with inspiration and you want to purchase a few promotional items, please feel free to browse through our online product catalog. We have everything from wrapped mints to tissues, so we’re sure you’ll find something you love. Contact us for more details. Wagner Match caters to the unique needs of a wide variety of businesses. We’re dedicated to providing our clients with an incredible product that they can depend on and one that gives their business an added flash!